Light for the Blind is a registered charity based in Leeds, England. Its objective is to improve the welfare of blind, mentally ill, handicapped and above all destitute dying people living in India. It works with Father Thomas Rathappillill: a priest who is working in the Dindigul District near Madurai and in Kancheepuram District near to Chennai in the state of Tamil Nadu, India. The Dindigul District has a population of over two million people. Chennai has a population of around 18 million. 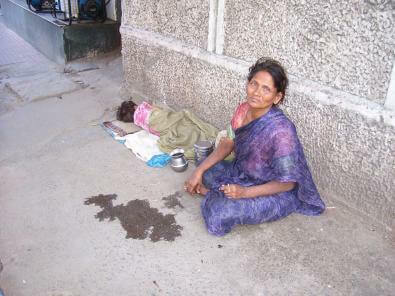 It is a sad but common sight in the cities of Dindigul and Madurai etc to see homeless and destitute elderly people sleeping on the pavements of the streets. By day they beg and scavenge for food frequently fighting for this with dogs outside food shops and eating places. Father Thomas describes how the sight of these people troubled him deeply and so in 2005, with support from the Trust he began to build a hospice for these people. 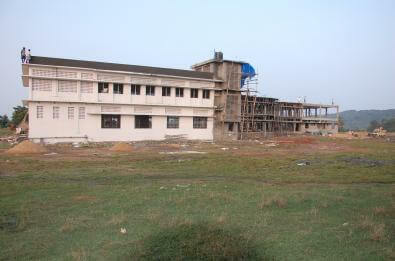 Located outside Dindigul, the hospice was opened in March 2006 and was named St. Joseph's. It now has beds for 325 residents both male and female. Please put aside money throughout Lent for this cause. There will be a second collection on Sunday 10th April, and other donations may be made payable to "The Oxford Oratory". Please mark your cheque "Lent Project" and fill in a parish gift aid form if you haven't already.